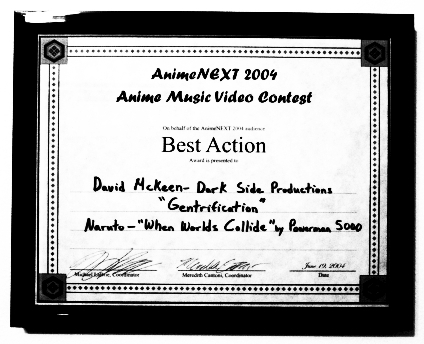 Because it's my birthday, here is the first batch of PARANOIA GIRLS story posts. Art by Yunico Uchiyama. Text by me. Translation by Marie Iida. Deeper experience at the official sites. Daddy needs a brand new set of shirts from Rotten Cotton! And maybe I can finally place an order considering I just landed a new gig writing for the Tokyo Fashion web$ite. Look for updates from yours truly there every week. Expect a mix of interviews and this-blog-like spotlights on oniikei, host, dandy, hostess, and kyaba craziness. In the meantime, things kick off with a report on the fun, but also confusing "Oshare Macross" event at Marui One (hey, I used to work for them...). 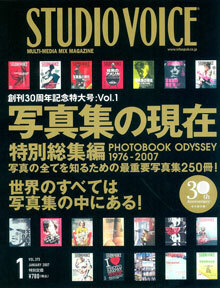 The new issue of tres oshare magazine Studio Voice goes on sale today in Japan. This means J-folks can now read the first installment of my new column 'Paranoid States of America' that will examine the witchy world of conspiracy theorists, paranormal hoodoo, and post-millennial backwash. 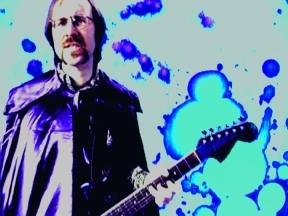 Things kick off in aggressively un-otaku fashion via an interview with Detroit's Matthew Smith, front man for "the most paranoid band in the land" Outrageous Cherry. Together, we wonder if the OC's magik and occult-tinged pop music "opened a door to cosmic wisdom" and wound up predicting 9/11 months before it happened. Expect a new book, and perhaps even increasingly paranoid podcasts, to rise from the wreckage.